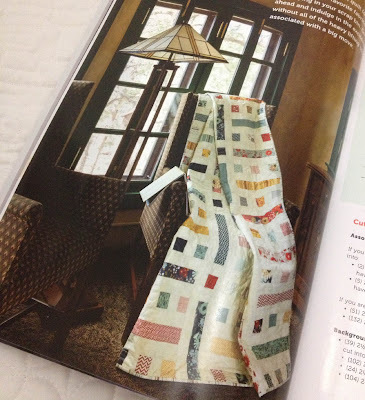 Having collaborated with Modern Quilts Unlimited magazine in the Fall, when I created the Bridges & Tunnels quilt. I was honored when they chose another quilt pattern of mine to be included in their Spring issue; which you can find on newsstands now. 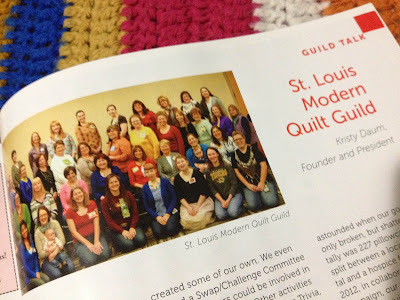 If having a pattern in their magazine wasn't exciting enough, I also had the opportunity to contribute to "Guild Talk" in the back of the magazine highlighting my AWESOME St. Louis Modern Quilt Guild. I named this quilt Floor Plan as it reminded me of office cubicles; before my office of course moved to an "Open Work Environment". Man, sometimes I miss those cubicles. 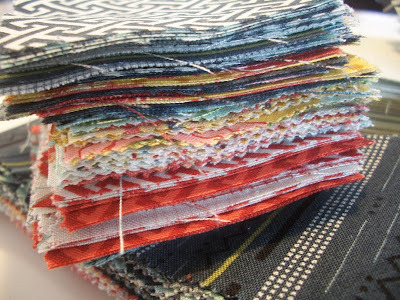 Moda Fabrics let me play with the new PB&J line from BasicGrey. 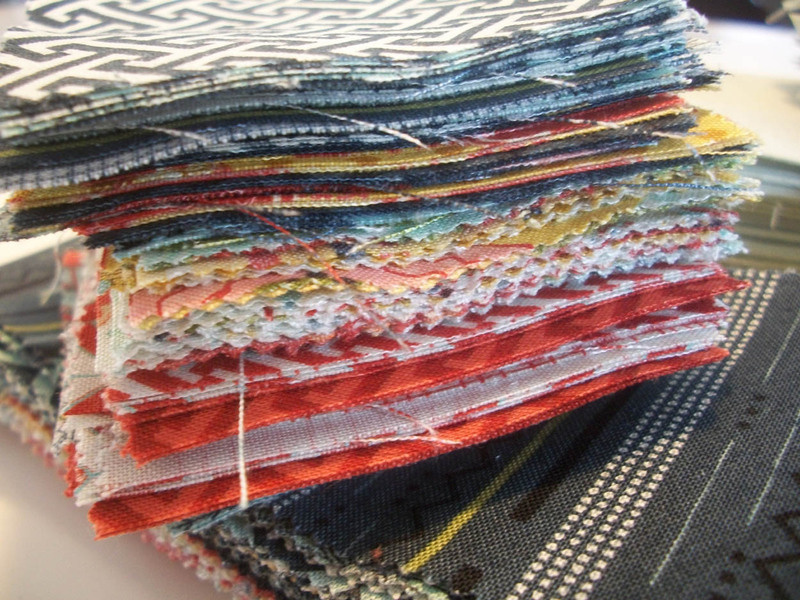 After lots of cutting and chain-piecing, things were coming together nicely. Up until my Doctor Who pixel quilt, Floor Plan was one of the largest quilt that I had made to date measuring 58" x 74". 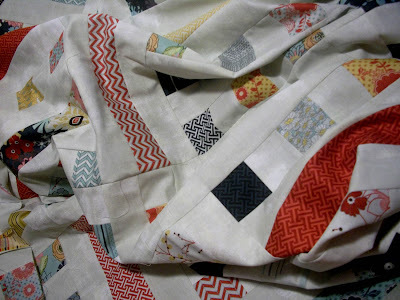 I'm very proud of this quilt and it's design is simple enough that a Beginner can tackle it too. If you haven't yet subscribed or bought a copy of Modern Quilts Unlimited magazine, you most definately need to get on that right quick. Yay! How exciting! Congratulations, Kristy! I love the design and the colors you chose, Kristy. Congratulations on making the magazine and on another wonderful quilt! Great guilt! Really like it! Congratulations on being published! Great work, Well done! 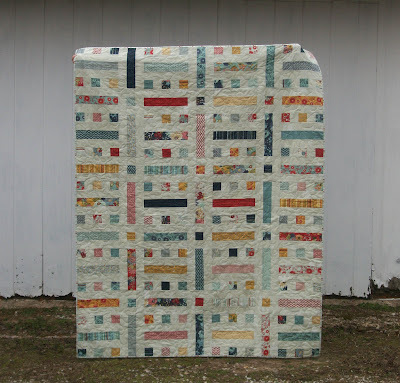 Mmm love that quilt! Great pattern. I pinned it! 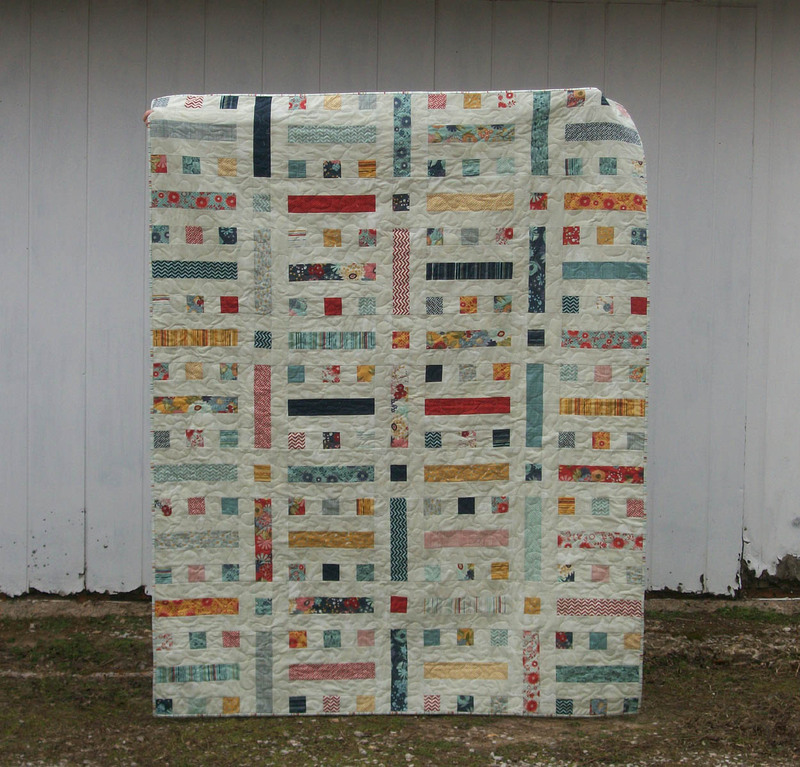 Congratulations, that is a gorgeous quilt! And I love that Basic Grey fabric line! I must say i wasnt shocked tosee yetanother great pattern of yours published. I love it! Congratulations, Kristy! It's a beautiful quilt! Cute! I so love the colors you used :-) Well done! LOL! Open Floor Plan is what they call it now? Geesh, when I started with Uncle Sam in 1977 (just out of high school), that's exactly what we had. Just like fashions, I guess office design is recycled too. 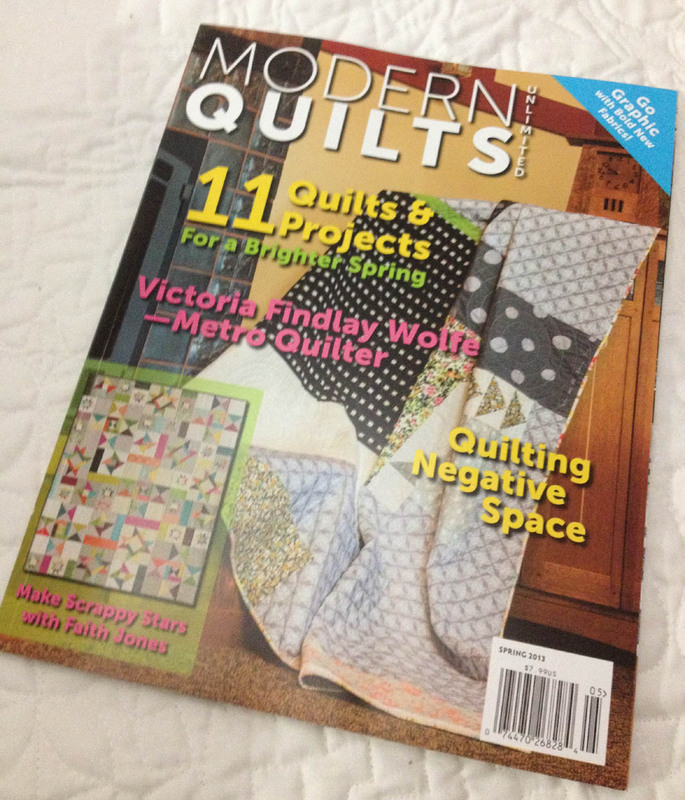 Love your quilt, no, all your quilts. Keep up the great work.